The Cornea is the clear dome shaped part of your eye. It is made up of proteins and is important for refracting light and allowing us to see. If the cornea becomes damaged and does not refract light clearly, the resulting problems include long and short sightedness. The cornea is made up of several layers, each responsible for its own functions, and all need to remain clear to work properly. Why do I Need a Cornea Transplant? Some people will be born with or develop during their teenage years, a condition called corneal dystrophy. This condition has many sub-types each affecting a different layer of the cornea. 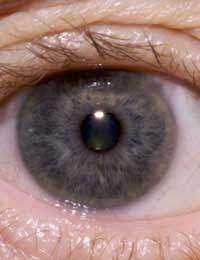 The dystrophy can cause the affected layer of the cornea to become faded or damaged in some way, sometimes spots or lines can appear on the cornea depending on the type of dystrophy. A corneal transplant will be indicated in those who have a large degree of damage to their cornea, so much so that their vision has become permanently and badly compromised and glasses, contact lenses or other medical interventions will be effective. During the surgery, the affected cornea will be removed under either a general or local anaesthetic. The affected section of cornea is excised and removed, after which the new cornea is sized to fit exactly the same as the removed piece and is fixed in place using very fine sutures. The new cornea will have been donated by a willing donor after consent from their next of kin has been gained. All tissues used will have been rigorously tested for any signs of infection before being used. During the operation, no pain should be experienced although some people do find laying still for this period of time a challenge. Please discuss any issues with your doctor prior to the operation and adequate provisions can be made to ensure the operation goes as smoothly as possible. Many people are able to undergo this type of surgery as a day patient, but for some an overnight stay will be needed, most often because of other medical needs of the patient. The affected eye will normally be protected for 24 hours using gauze and an eye shield. Some people have found that they suffer from mild discomfort after the procedure or have a temporary sensitivity to light. Discuss these issues with your doctor.Most patients will need to use eye drops for many weeks after the procedure, this is completely normal and helps the donor material settle into its new home. Vision will normally be blurry at first but will settle over time. A sight test a few weeks after the operation will be needed to ascertain which prescription of glasses will be needed now that you have a new cornea. Corneal surgery is a very good way of regaining sight for many people. Donor material is always given with full consent and is rigorously checked for any signs of disease or infection before being used. Success rates for corneal surgery tend to be high and complications after surgery are minimal.